When guests arrive to the port, they can use their mobile phone to check-in and board the ship with just a security checkpoint between the curb and the ship. A redesigned check-in experience will eliminate lines and bypasses the counter. The new process will leverage a combination of facial recognition, bar codes and beacons to make boarding fast and frictionless. The check-in process will take place via the new Royal Caribbean smartphone app that is under active development. 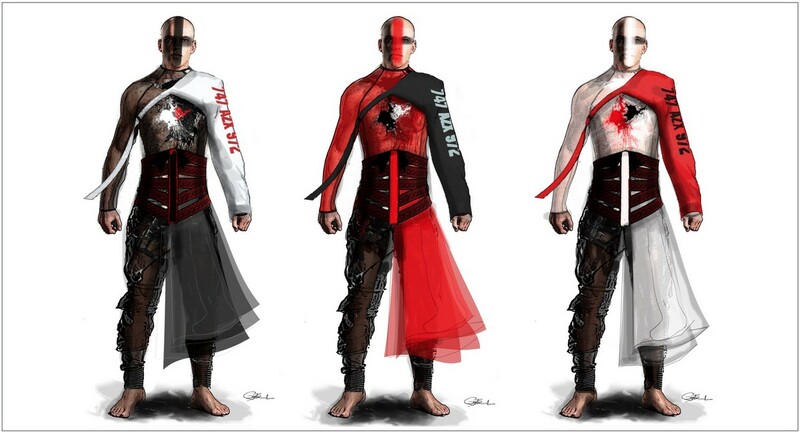 It will be available in Barcelona and in the new terminal in Miami. 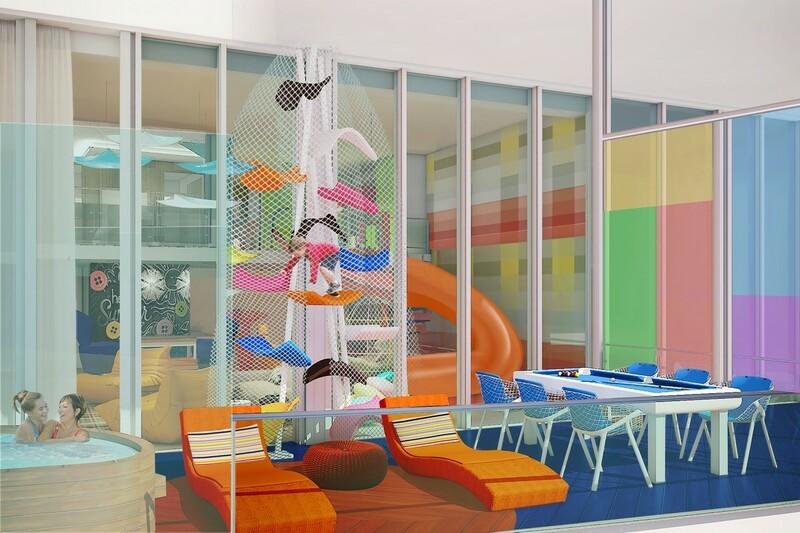 The two level Ultimate Family Suite is a dream come true for kids of all ages and will debut eye-popping features, including: an exclusive slide from the kid’s only bedroom down to the living room below; a floor-to-ceiling LEGO wall, an air-hockey table and hidden nooks for chilling. A separate 3D movie theater-style TV room, complete with popcorn machine and a library of video games across multiple gaming systems will bring a new level of euphoria and competition to gamers in every family. And that’s just the inside; the 212 square foot wrap-around balcony touts a bumper pool table, a climbing experience and a full-size whirlpool that will provide unmatched ocean views. The room can accommodate up to 8 guests. There is only one of these rooms on the ship. Fresh New England style seafood and located in Solarium. 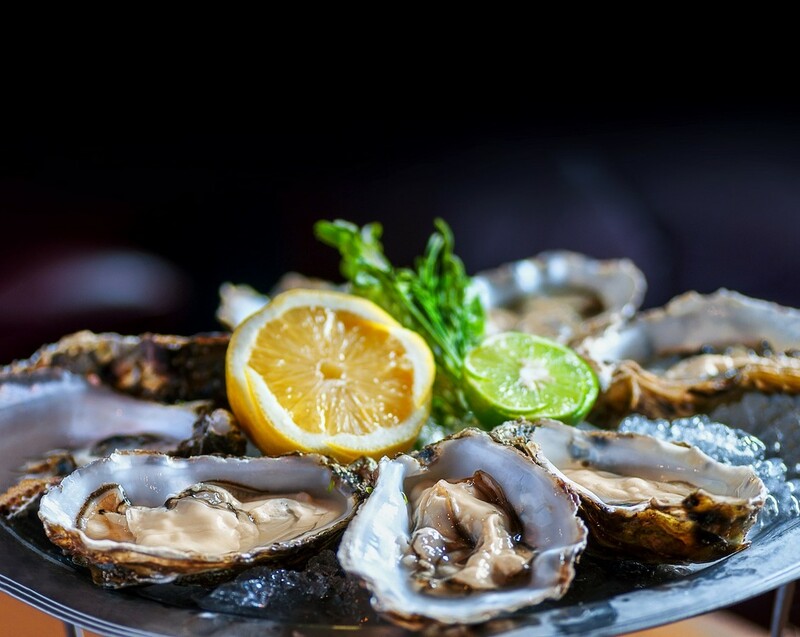 It will feature fresh seafood and a robust raw bar complete with oysters shucked to order. Located at the front of the ship in the Solarium, the casually sophisticated restaurant will offer expansive views of the open water, serving lunch and dinner. 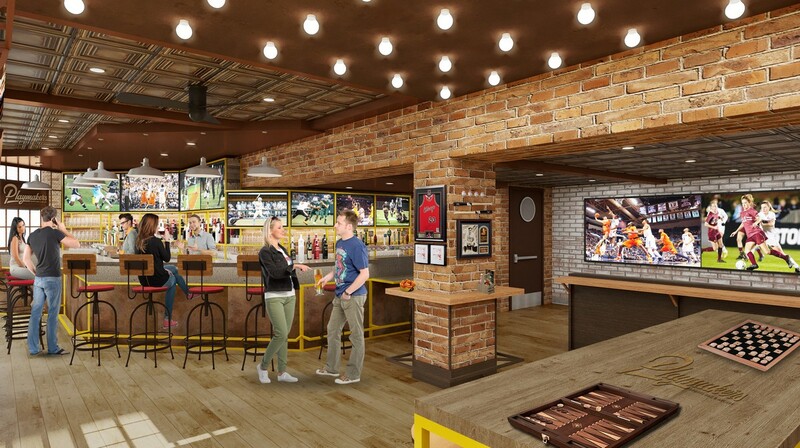 Score an awesome time at Playmakers Sports Bar & Arcade — whether you’re watching your home team on one of dozens of TVs, making your own legendary plays at the arcade, or refueling on your game day favorites. Playmakers will be located on the Boardwalk neighborhood and span the entire length of the Boardwalk neighborhood. It will take the place of where Sabor and Starbucks were on Harmony of the Seas. Starbucks will open on the Royal Promenade, but will not be available during the European season. 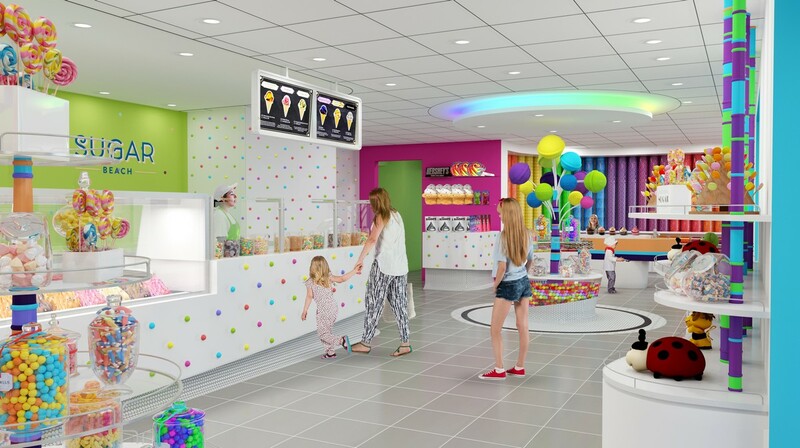 Sugar Beach candy and ice-cream shop will bring a sugar high of sweet treats to adults and kids alike, enticing them with colorful candy-packed walls and tempting ice cream and toppings galore. 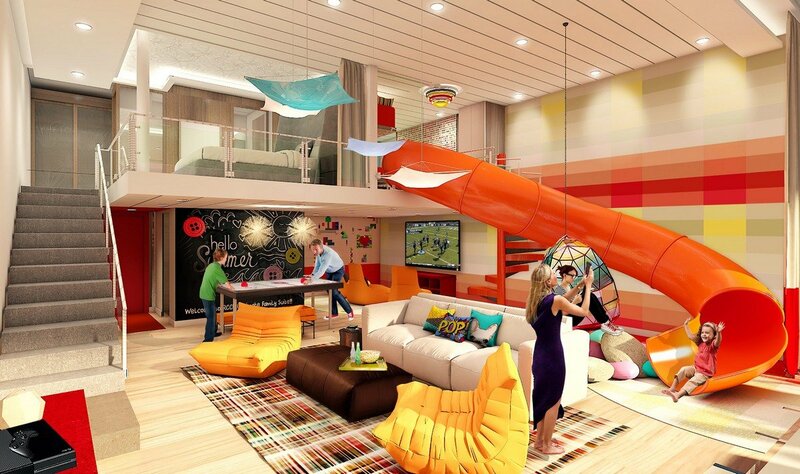 The sweetest spot on the high seas also will feature family-friendly activities for aspirational bakers. This will replace the retail outlets on the Johnny Rockets side of the Boardwalk. In a far-flung galaxy in a distant future, two forces are set to collide. Choose your side, grab your laser blaster, and gear up for a stellar glow-in-the-dark time in Studio B. 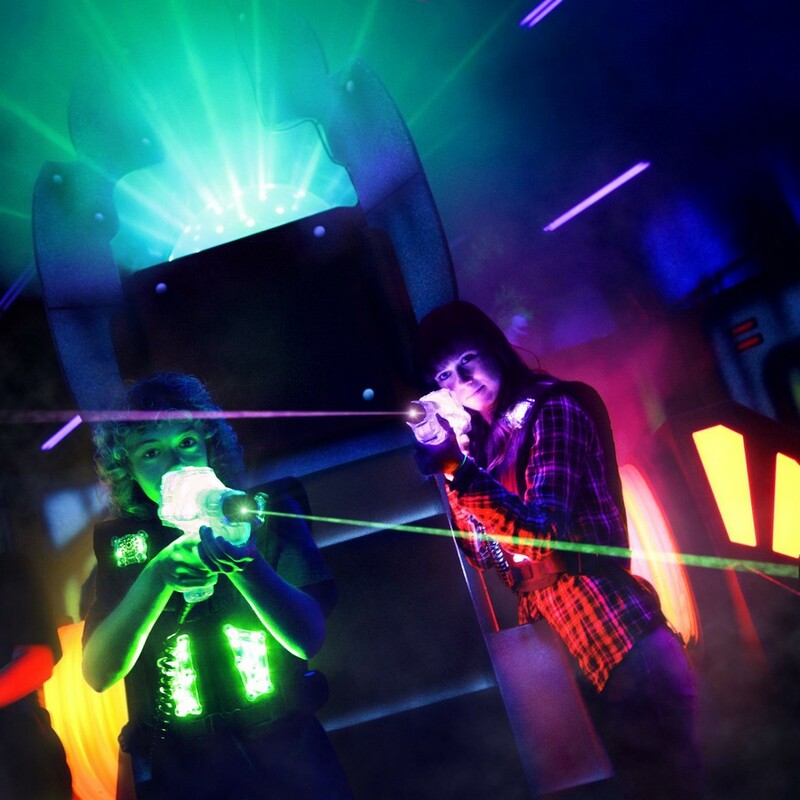 An epic glow-in-the-dark laser tag experience. State-of-the-art technology and special effects will transform Studio B into the ultimate laser tag arena as family, friends and foes battle over the fate of the last planet in the galaxy. Fresh. Fast. Authentic. Satisfy your craving for fresh-made Mexican favorites — the craziest thing about it is just how good it is. 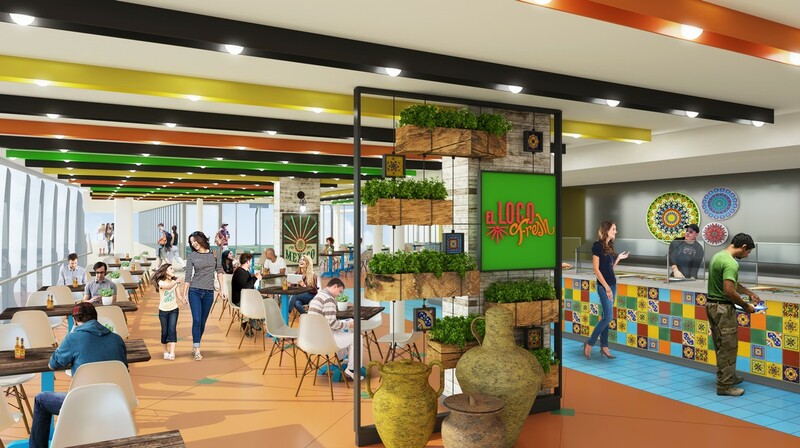 It will be located in the Sports Zone, replacing Mini Bites on Harmony of the Seas. It will seat more than 100 guests. 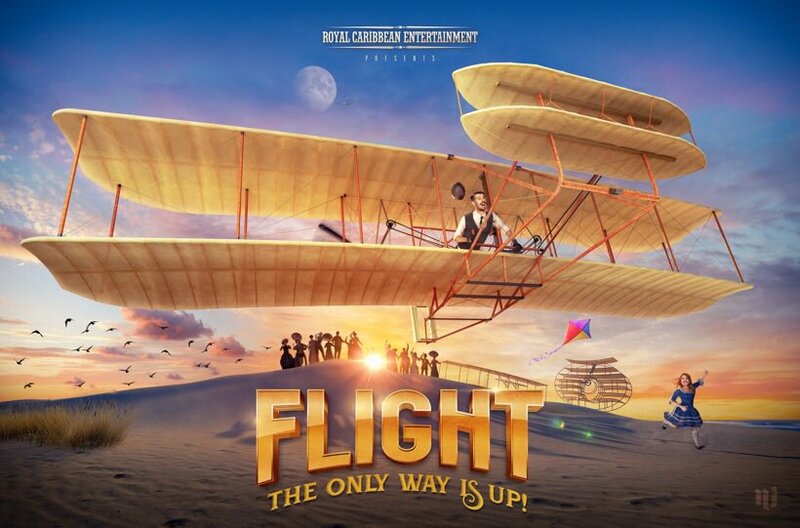 Flight is an uplifting historical satire on the evolution of air travel that ends with homage to the famed Wright Brothers. A mind-blowing show that combines cutting-edge technology, future-forward choreography, unexpected stunts and highly innovative, physically extraordinary acrobatics. 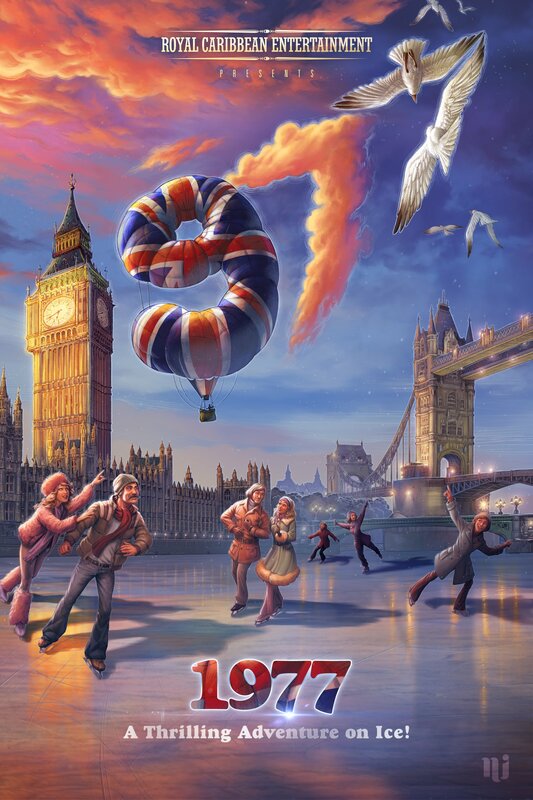 This spectacular adventure on ice follows a time traveling, dimension-jumping hero as he is called upon in London to recover Her Majesty's Crown Jewels in time for the famous Silver Jubilee. 1977 will take ice-surface video projection technology to a new level and was developed Panasonic to push the limits of what is possible technologically. 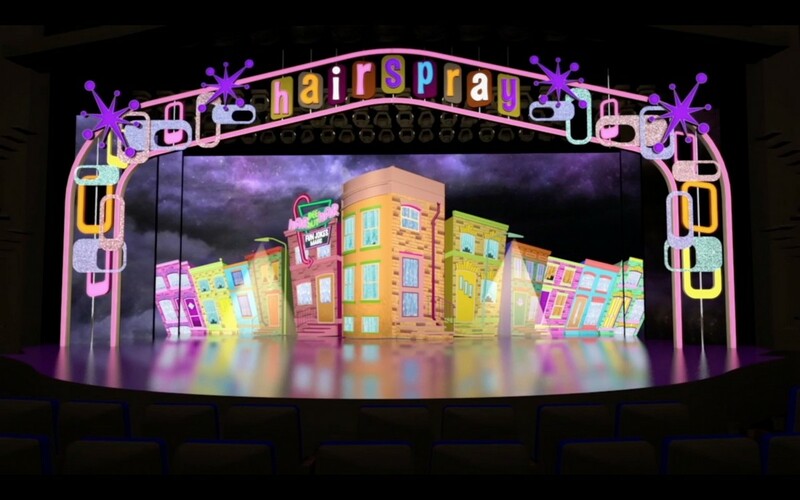 Big hair, big dreams and all the right moves — you can’t stop the beat in this Tony Award-winning Broadway hit. Vacationers looking for a challenge can experience a new Puzzle Break experience on Symphony, where teams will race against the clock and learn to work together toward a common goal – to escape the submarine-themed room before time runs out. The highly anticipated additions to the Boardwalk will round out the signature offerings that propelled the neighborhood’s popularity. The Ultimate Abyss will catapult only the brave from the tallest slide at sea into the heart of the Boardwalk to revel in their adrenaline rush. Symphony of the Seas will debut in April 2018 and offer an initial European season prior to coming to Miami in November 2018. 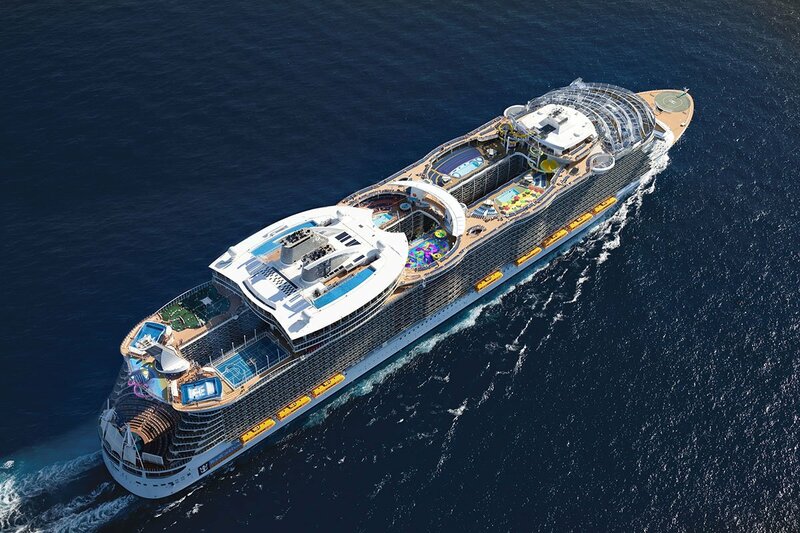 Royal Caribbean said the Godmother naming ceremony will take place once Symphony of the Seas arrives in North America. In keeping with maritime tradition, the ship will have a naming ceremony in Europe to begin her sailing season. Royal Caribbean Blog is an unofficial fan blog written for other fans of Royal Caribbean International. The Royal Caribbean Blog is not affiliated with Royal Caribbean International.